Features versions of Kraftwerk's "The Model", Marc Bolan's "Life's a Gas", The Beatles' "In My Life", and The Buzzcocks' "Ever Fallen in Love". They're all performed in 'chamber pop' format, with Glyn on Guitar/Vocals/Harmonica, Phil Senior on Bass/Backing Vocal, and Lizz Beahan on Violin/Vocal. Get your copy HERE before the internet runs out ! Credits - Mixing and mastering were all beautifully handled by Dave Archer of Last Riff Studios, Cincinatti, U.S.of A. 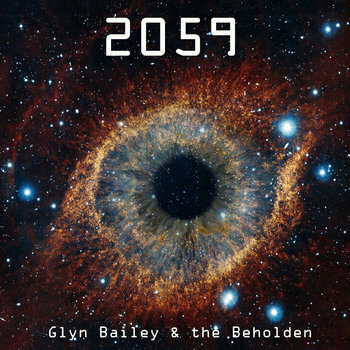 "2059 may be a leap into an uncertain future, but one thing's for sure, we'll be utterly beholden by its soundtrack"
Ladies and Gentlemen, we present the future...but not as you know it ! So what can we expect from 2059? Ten tracks lovingly crafted for your listening pleasure. There are themes of lost treasure (78rpm), a haunted dancehall (Dancefloor - inspired by the Blackpool Tower Ballroom), the shackles of human existence (Chains), the belief that we are all cosmically connected (Stars), spirits from WW2 (Night of Memories), a long lost theme tune (Universe) and a curve-ball version of a 70's glam rock stomper by Slade (Coz I Luv U)... elements which combine to make this work something truly special. We're also back with a new band name...The Beholden. Rather sophisticated we think, hope you like it. There's a limited edition CD version of the album for sale from this site, or you can download the tracks from Soundcloud, Bandcamp, iTunes and others. Pay or download for free, we don't mind either way. If you enjoy our music, please spread the word...we do this for love, we appreciate your support. 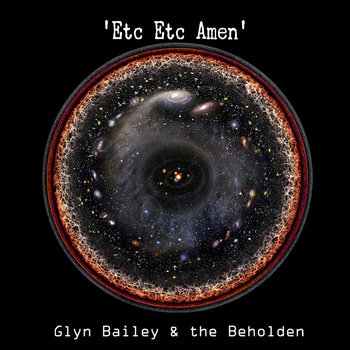 Videos created by Glyn to illustrate many of the album tracks can be viewed at his Youtube Channel.